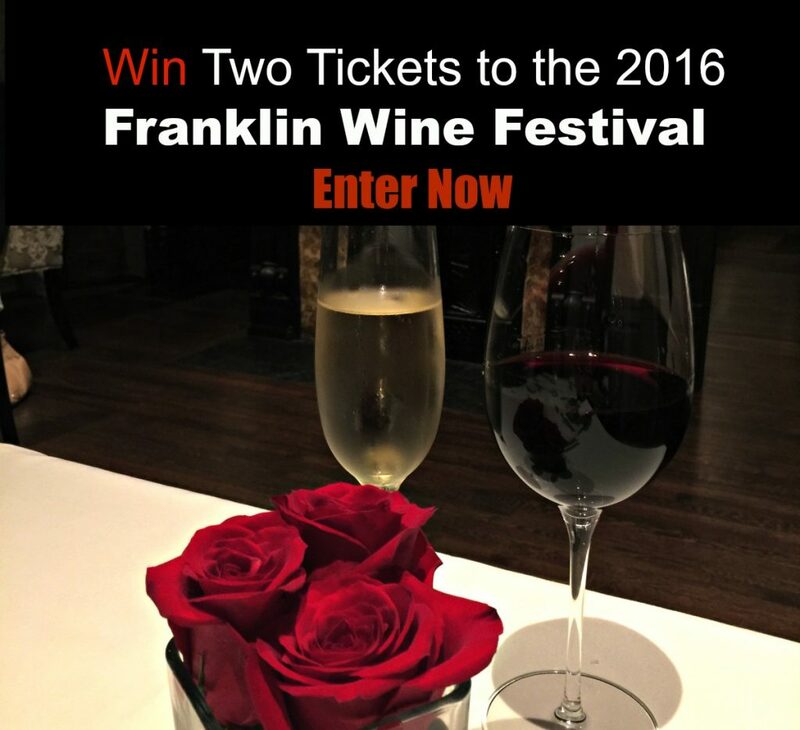 I have been given two tickets to the 2016 Franklin Wine Festival, and I have two extra tickets to give away. I have a wonderful opportunity for you to win two tickets to the 12th Annual 2016 Franklin Wine Festival, which will take place Friday October 21st. This is a package worth $200.00 at the door. Tickets can be purchased for $89 in advance. The 2016 Franklin Wine Festival will have an amazing selection of wine and food pairings! The 2016 Franklin Wine Festival, benefitting the Big Brothers, Big Sisters will feature over 300 wines and tastings from the best chefs in the area. The event takes place at the Factory in Franklin, and is an event you do not want to miss. Big Brothers Big Sisters is a volunteer and donor driven organization and a very important part of the community. Funds raised by the 2016 Franklin Wine Festival events will be used to conduct background checks on volunteers to ensure child safety; and provide ongoing support for children, families and volunteers to build and sustain long-lasting relationships. The Event will take place at the historic Factory. The Factory, built in 1929, was an industrial building, and is now a cultural center of performance theater and music, art, shops and restaurants, often hosting a variety of events. It’s a pretty cool place, located on the corner of Franklin Road and Liberty Pike. This Giveaway is Closed – Sherry Smothermon-Short is the winner. You must be 21 years old to enter, and you will be asked to submit your birthdate. A winner will be selected on Sunday afternoon at 4:00 p.m. by random.org. You must respond back by Monday 9:00 a.m. or another winner will be chosen. You can get up to two chances to win. Follow Spinach Tiger on Instagram and leave me a comment here letting me know you followed me. Leave your IG name. You must enter an email to win, so we can get in touch with you. You can get one extra entry, by liking this Instagram Post. Come back on Sunday to see if you won and please check your email. Good luck and Cheers! Michelle, Sherry Smothersmon Short won. So nice to meet you this evening! Looking forward to following your blog!! I thought I already followed you on IG, but I think it was from my other account! Done! I was already following you with my @CubScoutIdeas account, and now I’m following you with my @SherrySS7 account! Do I get two entries?!? ? ?